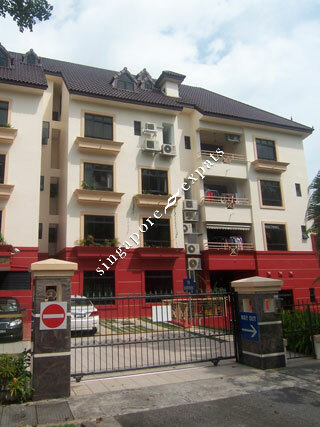 BAYVILLE CONDO is located at 42 SOUTH BUONA VISTA ROAD in district 05 (Buona Vista, West Coast) of Singapore. BAYVILLE CONDO is a Freehold Condo development consisting of 63 units. BAYVILLE CONDO is completed / TOP in 1996 (estimated), developed by GLORY DEVELOPMENT PTE LTD.
Educational institutions like GLOBAL INDIAN INTERNATIONAL SCHOOL (QUEENSTOWN), ISS HIGH SCHOOL, TANGLIN TRUST SCHOOL, FAIRFIELD METHODIST SCHOOL (PRIMARY), BLANGAH RISE PRIMARY SCHOOL and NEW TOWN PRIMARY SCHOOL are near to BAYVILLE CONDO. BAYVILLE CONDO is accessible via nearby HAW PAR VILLA, PASIR PANJANG and KENT RIDGE MRT Stations. This condo is located in district 5. It is at the city fringe. It's 5 min drive to Vivo City, Harbourfront and across the Sentosa Bridge. Short 5 minutes walk to NUS/NUH/Science Park. There is a village centre where Cold Storage and food stores is located for groceries that is 5 minutes walk. Public transport is conveniently accessible. The West Coast and Pasir Panjang MRT is only two bus stops away. It's great for people who wants quiet place as a home but no too far away from the city. It's near parks and historical sites.